A flat-packed chair composed of 8 pieces that easily screw together for a comfortable, upholstered seat. A few years ago etc.etc. launched the original flat-packed Naïve chair and now they’ve just released the newest member of the family ? the Naïve Low Chair designed for EMKO. 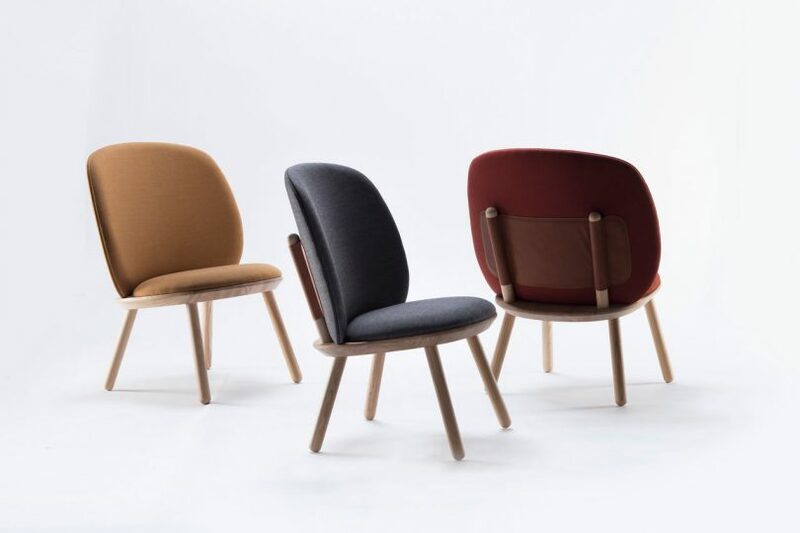 The chair comprises eight pieces, including four legs, two back rods, a seat, and a back rest, that easily screw together to form a comfortable upholstered seat. Like the original, the new design can be easily unscrewed and taken to a new location when it’s time to move. The four legs screw into the bottom of the seat, while the two shorter rods screw into the top of the seat. The backrest features a leather strap with two pockets that slide over the two rods to hold the back in place. The new design sits lower than the original for a more laid back feel with a wide cushioned backrest for added comfort. The Naïve Low Chair comes with an ash or black ash wood frame with a variety of upholstery options available to match any decor.